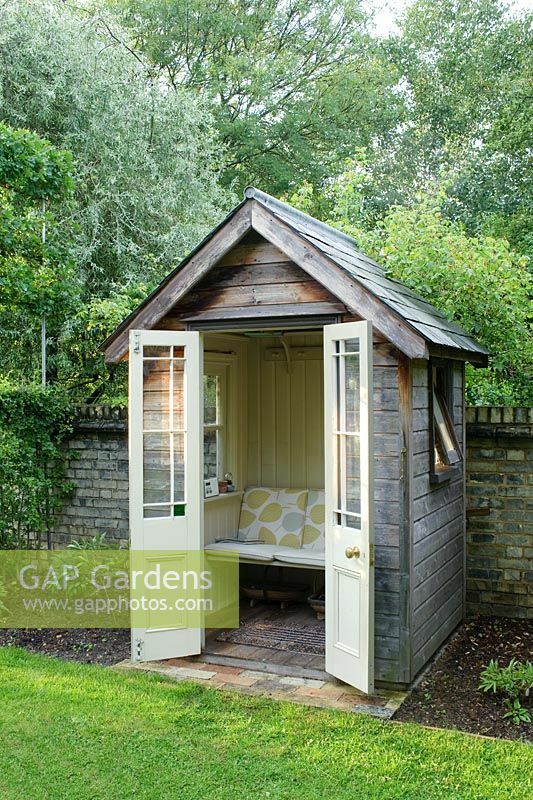 Small timber summer house with bench seat, french doors, painted wood panelling and slate roof. Made by the owner from an old garden shed and architectural salvage materials. Image 0178266 has been added to your cart.